ISLAMABAD: Pakistan Muslim League-Nawaz (PML-N) and Pakistan People’s Party (PPP) leadership met on Saturday to discuss starting a no-confidence motion against Senate Chairman, Sadiq Sanjrani. Sources reveal that the opposition parties may consider changing Senate chairman after the elections for the prime minister, the speaker, and the deputy speaker commence. Sanjrani, who hails from Balochistan, was elected as chairman earlier this year, with the support of PPP and Pakistan Tehreek-e-Insaf (PTI). 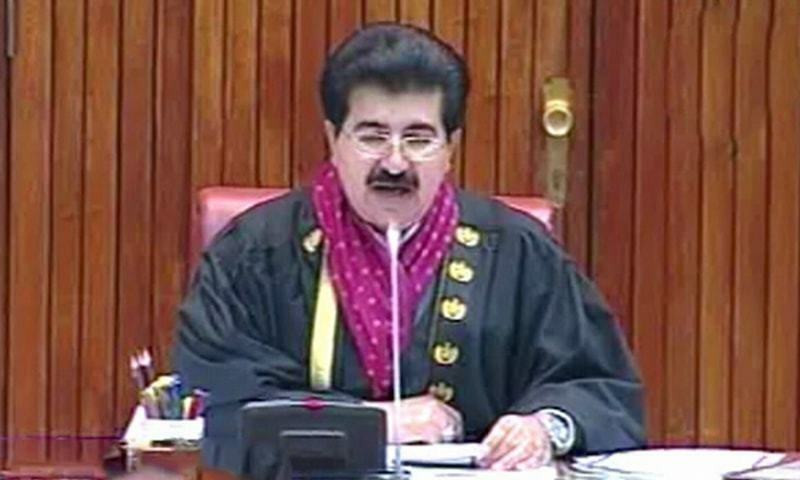 Sanjrani, who is the first elected Senate chairman from the province, won with a majority of 57 votes out of the 104 member house. There are also talks of a possible alliance between the two parties ahead of the elections for the President of Pakistan in September. The meeting is said to have included Shehbaz Sharif, Ayaz Sadiq, Khawaja Asif and Shahid Khaqan Abbasi from the PML-N side whereas the PPP delegation included Khursheed Shah and Raja Pervez Ashraf.